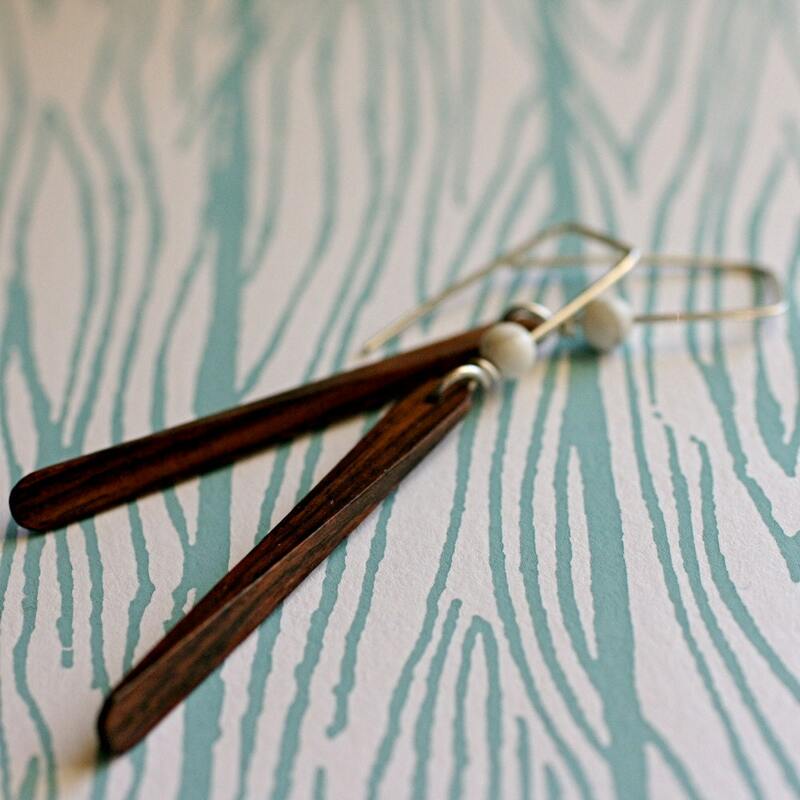 Modern, sleek and playful earrings, just like the iconic designers they're named for. 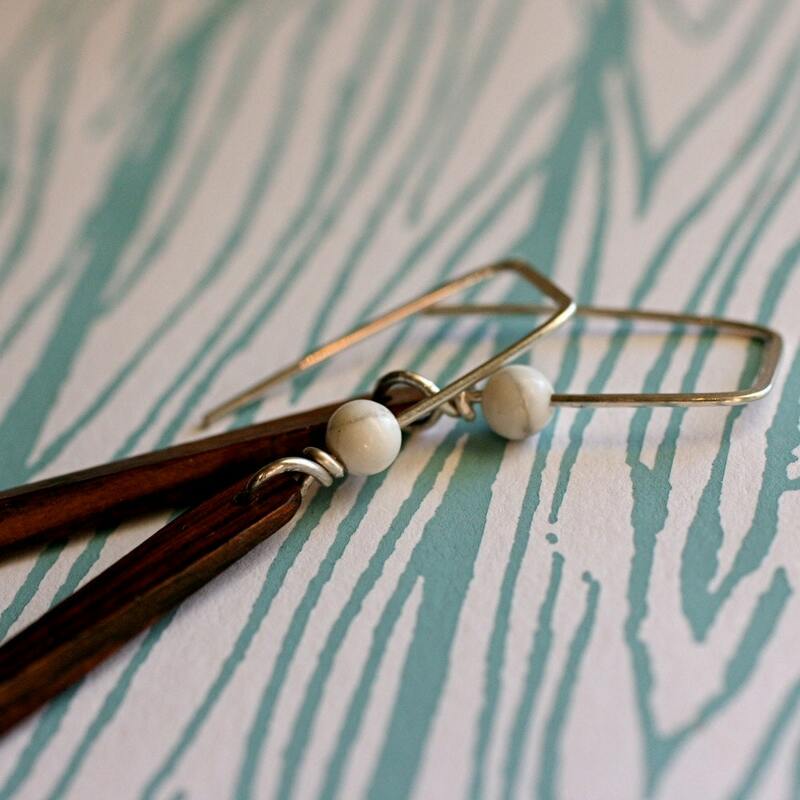 Simple wood geometric paddles are framed by marbled and modern howlite beads. Hand formed and polished metal, available in sterling silver and 14k gold fill. 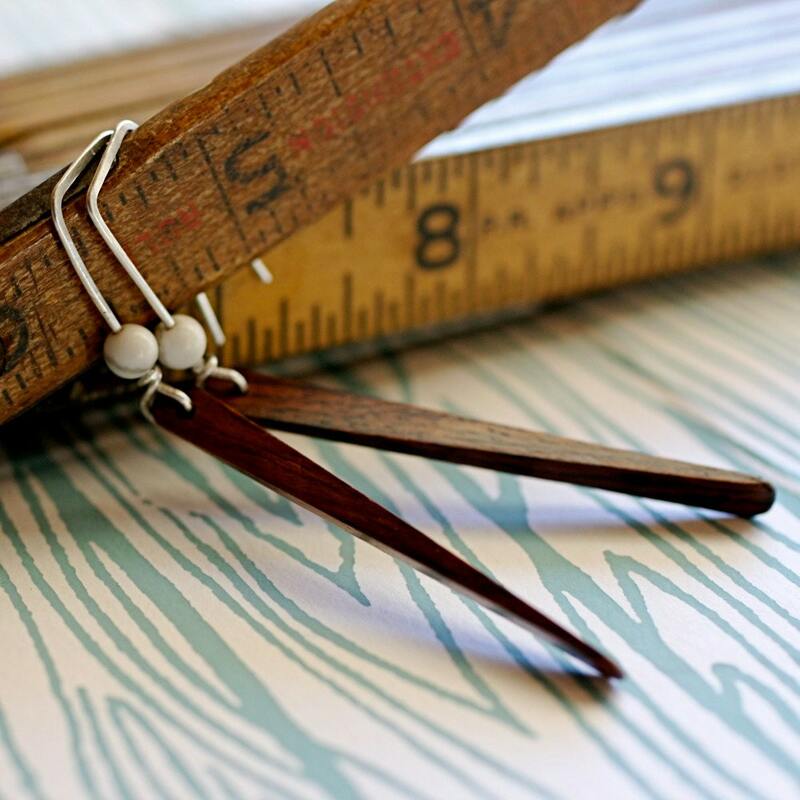 Measure 2" in length. 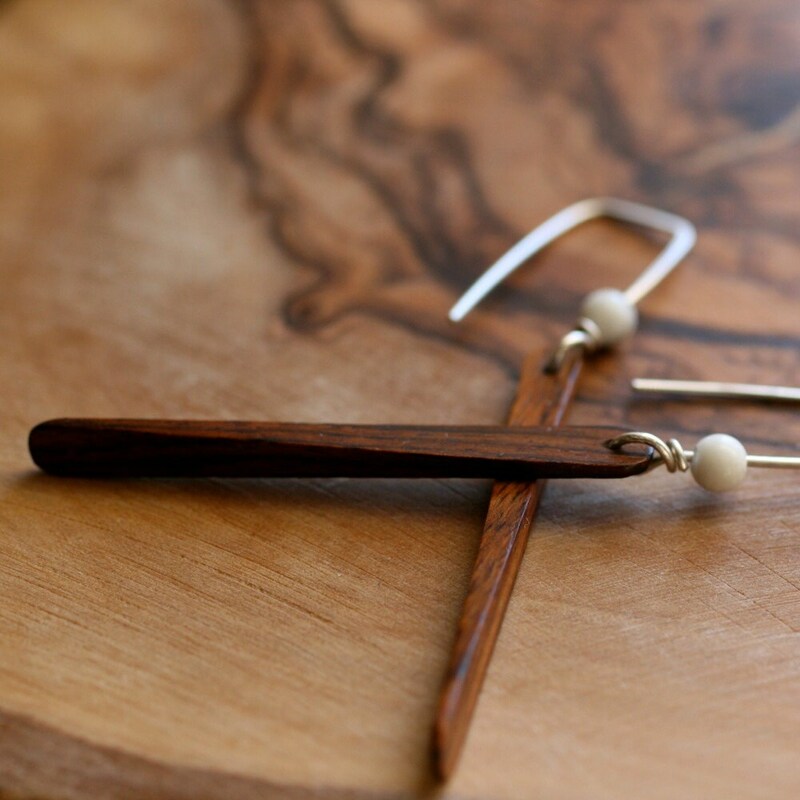 Your new earrings will arrive wrapped and ready for gift giving.